Here it is! The sole item I purchased at JAFAX (which I should mention stands for Japanese Animation, Film, and Art eXpo). People who know me personally know I don’t like anime. It’s not that I hate it, because I don’t, I just never really cared much about it. But there is a reason I’ve gone to JAFAX for the past 7 or 8 years. There is something for everyone there and this rang true this year especially. Video games are always the hot ticket at JAFAX, as evidenced by the two video game tournament/free play rooms and the numerous attendees I StreetPassed with on the 3DS. For some attendees, this form of communication is the most they’ll engage in all year. Something that’s been hit or miss every year is a vendor selling video games. In past years, I have either not had gainful employment when attending JAFAX or when I did, was near broke by the time it rolled around. This was literally the first year I had significant money to spend on merch. Usually nothing outside of the video games interests me, but luckily there were 2 different video game vendors for me to spend money on. If I was an import collector, the one vendor I came across would have been a virtual treasure trove of collectables, but alas, I am not. 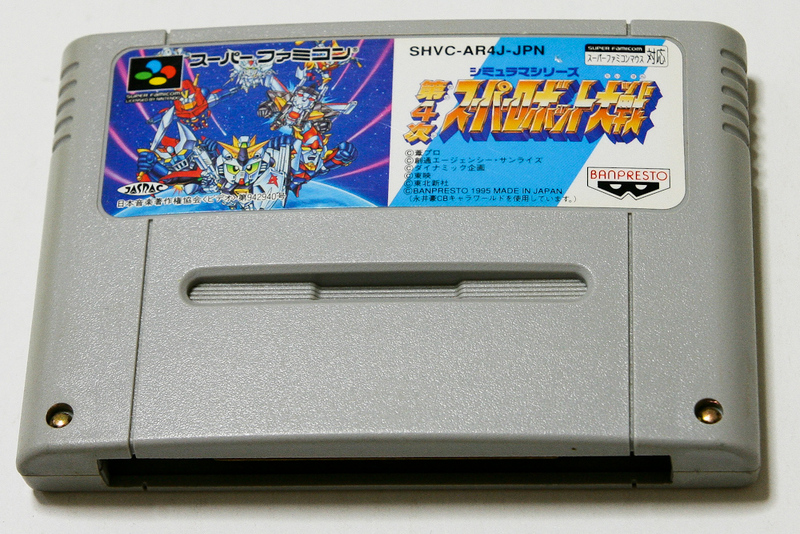 A Japanese game about robots. Don’t see those everyday. Retro Go! Games had a smaller selection, but their prices were surprisingly fair and there was plenty to pick from for under $5. I went with The Punisher because why not? I played it after getting back to my friend’s place. 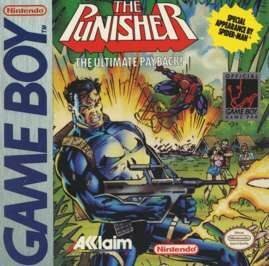 Would I feel punished for buying The Punisher? Or would Retro Go! Games be the Kingpins of awesome deals? There HAS to be someone out there who thought this would be a Punisher movie told from the bad guy point of view… that was somehow also about bowling. Unlike Skittles, this rainbow will leave a bad taste in your mouth. 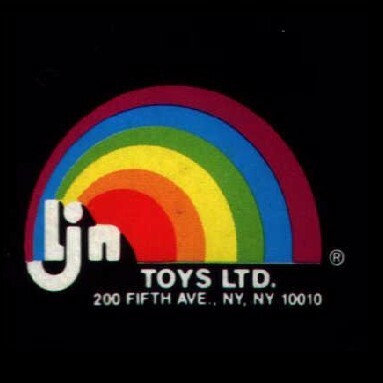 LJN is synonymous with bad games. Their toys and action figures based on WWF wrestlers back in the 80’s and early 90’s were immensely popular, but the complete opposite could be said about their games. If games based on licensed properties got a bad rap, it’s because LJN is the one awkwardly spitting rhymes with all the grace of someone who doesn’t know what music is. 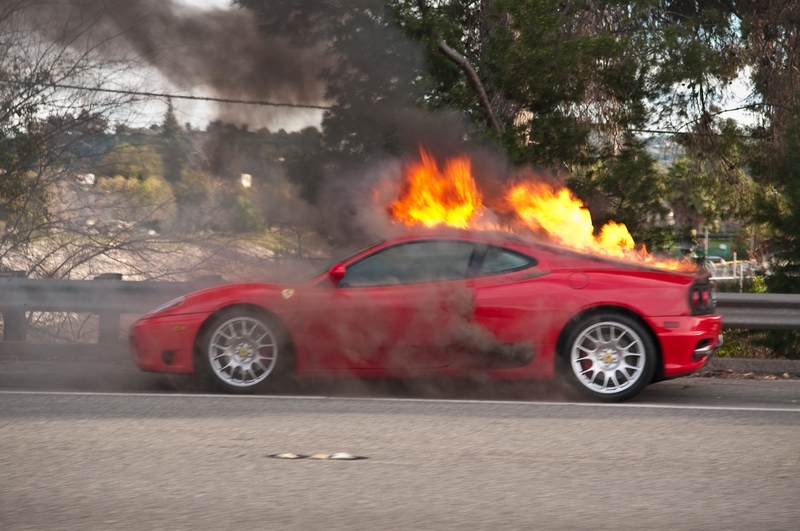 With the disappointment firmly settled it, I push start. 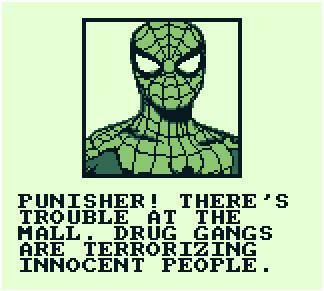 Spider-Man tells me DRUG GANGS ARE TERRORIZING INNOCENT PEOPLE AT THE MALL! Oh no! Time to punish! The sole moment of this game that made me smile. You’d think with the reticule being so big it’d be easier. Nah. Enemy sprites are really small and they tend to blend in with the environment a little too well. 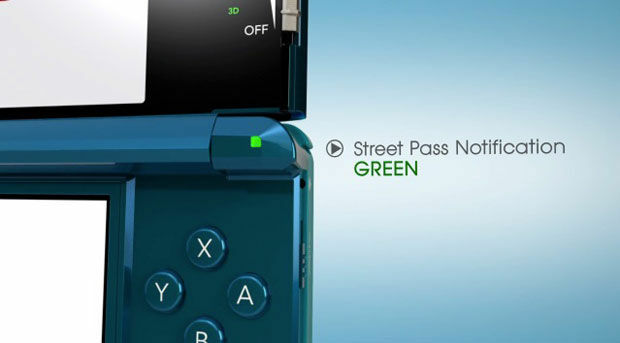 I understand technical limitations prevent them from standing out color-wise, but there are many monochrome Game Boy games without this problem. 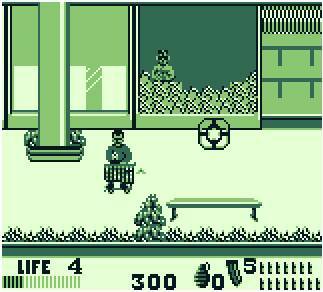 The non-enemy sprites are hilarious because they are women just casually walking their shopping carts down the mall completely oblivious to the firefight they’re blindly walking into. If you shoot them, you lose a chunk of your life bar. Worth it. They wanted to die. Ugh. The only reason I’m bargain binning this game rather than putting it in The Landfill is because there are a few things the game did okay. The aiming control isn’t horrible, the machine gun has ample ammo with plenty of ammo refills, and Spider-Man is such a dork in this game it made me chuckle. 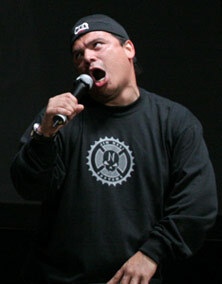 But just because Carlos Mencia made me laugh once doesn’t mean I’m a fan of his. Just as I’m not a fan of this game because it made me laugh. He’s The Punisher to anyone who pays to see him perform. Episode 10 is done like the mall walkers in this game! If you want to leave comments, praise, criticisms, or suggestions you can leave them here, or on The Official Five Dollar Gamer Facebook Page!